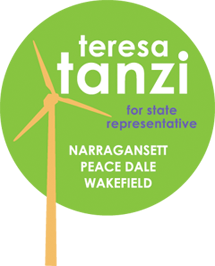 Teresa Tanzi: Help Cut Your Energy Bills! Help Cut Your Energy Bills! As the weather starts to turn colder, and many of us begin to dread the anticipated costs associated with heating our homes, I wanted to write a letter to help raise awareness of a free home energy assessment program as part of National Grid’s EnergyWise program in conjunction with the University of Rhode Island’s Outreach Center. The assessment, available to all National Grid customers, includes the free replacement of incandescent light bulbs with more efficient compact fluorescent bulbs; free installation of energy-efficient faucet aerators and low-flow showerheads; an evaluation of the level of insulation in the walls and attic; and a review of appliances for their energy efficiency rating. Upon completion of the assessment, residents who are gas and electric heat customers of National Grid are eligible for an incentive of up to 75 percent of the costs of insulation (up to $2,000) and 100 percent of the costs of air sealing (up to $750). Those residents who are electric customers only and heat with a fuel source other than natural gas or electricity are eligible for an incentive of 25 percent of the total costs of improvements (up to $2,250). Each energy assessment report is accompanied by specific recommendations and the available incentives or rebates for each improvement. For those seeking to get rid of an old refrigerator, the company will provide a $50 incentive payment and haul the inefficient appliance away for recycling. In addition to encouraging my neighbors to join me in scheduling an energy assessment, I also challenge you to see how much your household can reduce its energy consumption. Whether it appeals to your Yankee-conservationist spirit, your environmental spirit, or your competitive spirit, I hope to inspire everyone to take advantage of the opportunity to lower his or her monthly energy bills. For more information about the program, contact Rachel Sholly at URI’s Outreach Center, Rachel@uri.edu, or call 874-5558. To schedule a free energy assessment, call (877) 784-3709.